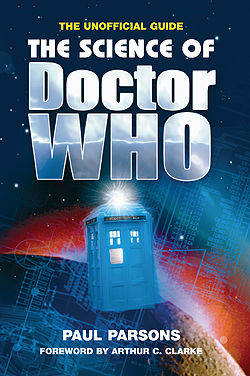 Doctor Who began in 1963. His journeys have shown us alien worlds, strange lifeforms, futuristic technology and mindbending cosmic phenomena. The breadth and imagination of the Doctor's adventures have made the show one of science fiction's truly monumental success stories. BBC Focus Editor Paul Parsons explains the scientific reality behind the fiction. Why before long we could all be regenerating like a Time Lord. With style and exuberance, The Science of Doctor Who brings the very latest scientific thinking down to Earth. Arthur C. Clarke is the visionary grandmaster of 20th and 21st century Science Fiction. In a writing career than spans seven decades he has both prophesied key, world changing technologies and written Science Fiction that has become a benchmark for the genre.